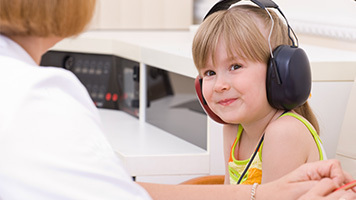 Lauren evaluates many of Bacharach’s pediatric patients at the Betsy-Ann Rogge Pediatric Hearing Center in our Galloway office. The state of New Jersey requires that babies who do not pass the newborn hearing screening administered in the hospital be retested within one month. 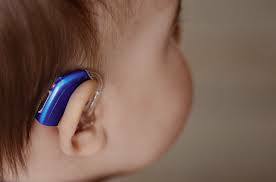 Babies who are diagnosed with any degree of hearing loss are fitted with pediatric hearing aids. Babies with a profound loss may be candidates for cochlear implants, as determined by a pediatric otolaryngologist and the child’s family. Lauren evaluates many children who are referred due to speech and language delays. 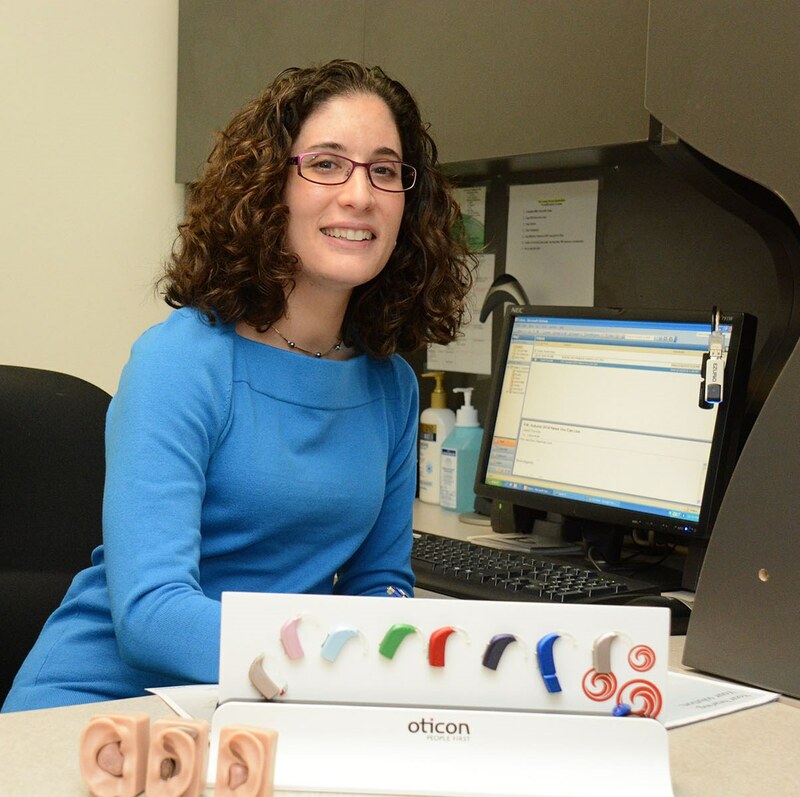 Her job is to rule out hearing loss as an underlying condition. She recently has been involved in the care of a child who was diagnosed with hearing loss and fitted with hearing aids, out of state, at age 18 months. The child became her patient when the family moved to this area. “Through consistent use of hearing aids along with speech-language therapy, the child at age 4, has reached age-appropriate milestones for speech-language development,” said Lauren. Lauren explained how audiologists test children who are too young or otherwise unable to speak.